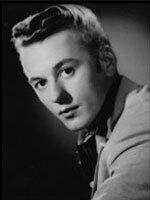 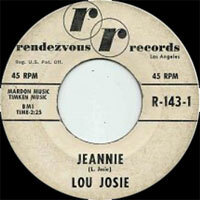 Chanteur Rock 'n' Roll US né Louis Terence Josie, le 14 Juillet 1938 à Medina (Ohio), Lou Josie a enregistré pour Argo Records de Chicago (Illinois) (58), Herald (58) et Baton Records de New York (59). 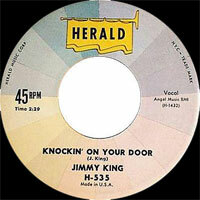 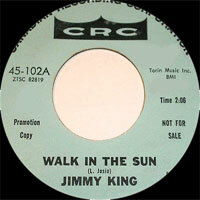 Il a aussi utilisé le nom de Jimmy King. 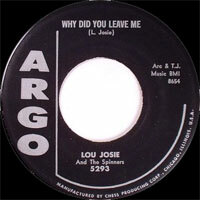 Lou became a resident session guitartist at Cleveland's Audio Recording Studio, allowing him to record songs that he was writing, and producing such singles as "Why Did You Leave Me" and " Some One Else Instead". 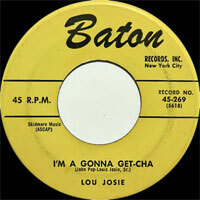 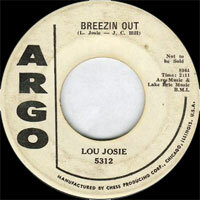 Lou has had many great performers record his songs - "Hey Harmonica Man" (Stevie Wonder), "Fugitive" (Ventures), "Blue Side of the Gray" (Atlanta), and his biggest hit song "Midnight Confessions" (The Grass Roots).